Charlie Massy (BSc PhD OAM), has a BSc in Zoology and PhD in Human Ecology. While managing the family farm in NSW he also teaches at universities and consults in the fields of Merino breeding and landscape design. 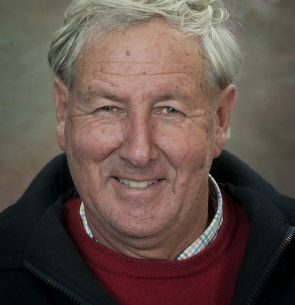 He has engaged in freelance journalism since 1977, and has published books on Merino sheep and wool history. His recent best-selling book, Call of the Reed Warbler: A New Agriculture – A New Earth, concerns the emergence of a regenerative agriculture in Australia and cause for hope.